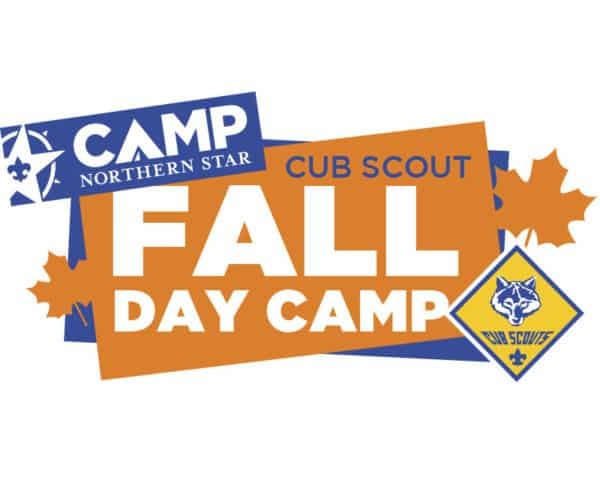 Fall Day Camp is a Fun Day Camp for all Cub Scouts. We have fun activities for new Scouts and older Bears and Webelos. Fall Day Camp is offered at 5 locations around the metro. So no matter your locations, we have a convenient option. In 2017, we added an Older Scout Outpost for Bears and Webelos. This 2 hour breakaway will include BB Guns, Archery, Tomahawks (Webelos Only), and Team Building Games! We are busy thinking about ways to make 2018 even better. Program: 1:30 p.m. – 4:30 p.m.
Fall Day Camp is designed to be an activity based program instead of advancement focused. New Scouts, however, will have the opportunity to complete most of the Bobcat Rank requirements. Fall Day Camp takes place at multiple locations. Get Started by choosing yours. Use the link below for information on a FREE day of Fall Day Camp.